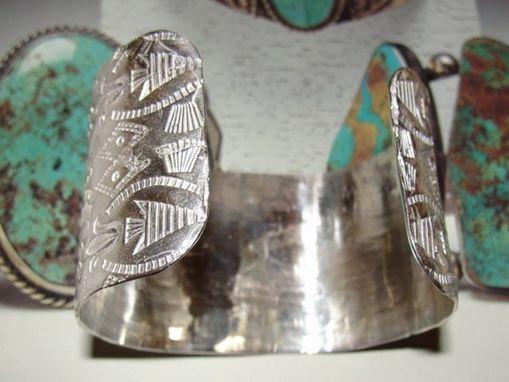 The first piece of my 11th collection of Native American inspired jewelry. 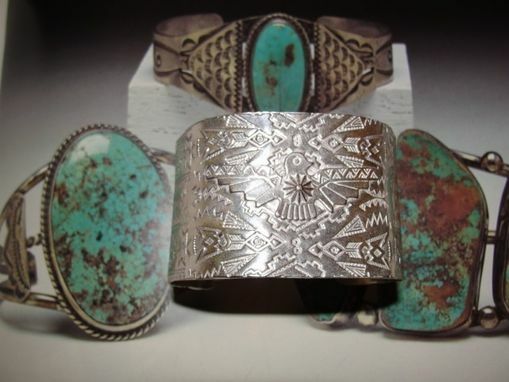 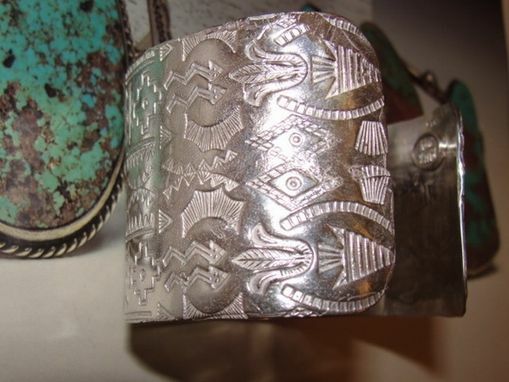 Techniques involved in producing this bracelet were taught from the Navajo Native American Nation to the Zuni People in the 1870\'s. 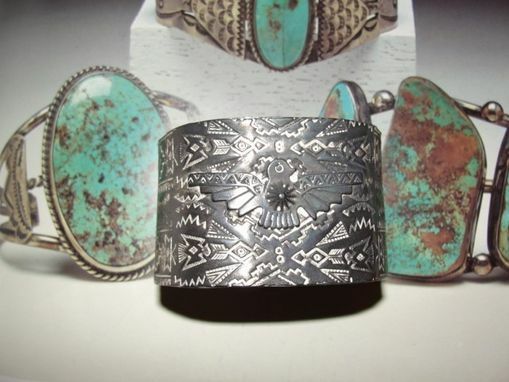 Basically, rocks are carved with symbols and then hand stamped into silver jewelry. 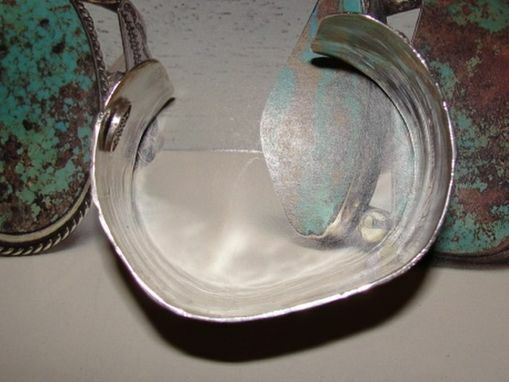 Available polished like the first photo,antiqued like in the second picture, satin finish and gold plated not shown.